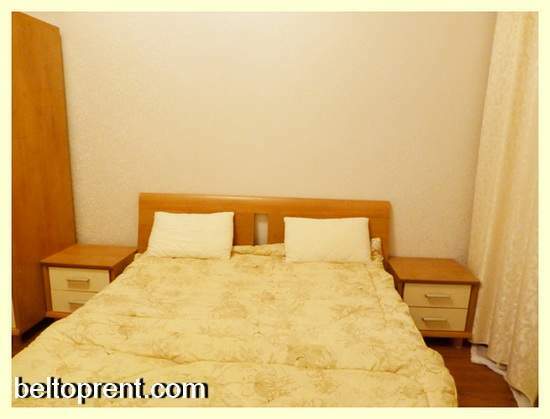 Luxury two-room Minsk apartment for daily rent just from $85 a night! 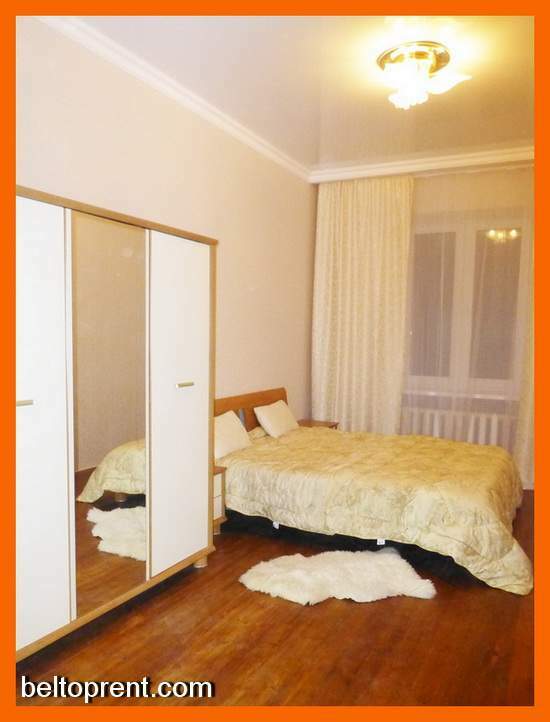 This apartment is situated just in a few minutes from subway » Park Cheluskencev». The building where this apartment is situated has historical treasure for Belarus. So your stay will be marked with the history of our beautiful country. Do you know the name of the main street in Minsk. «Prospekt Nezavisimosti», that’s right. 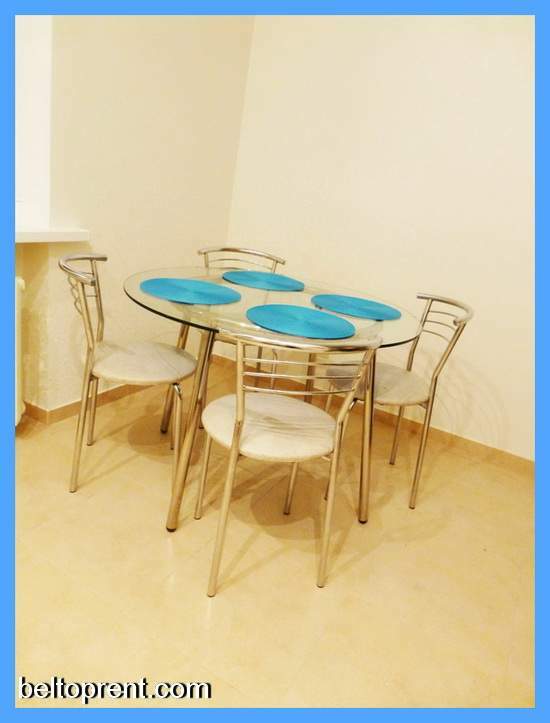 You might not believe, but this beautiful and fresh apartment rental is situated on the main street of Minsk, Prospekt Nezavisimosty 91. So, it’s time for you to rent this apartment now. 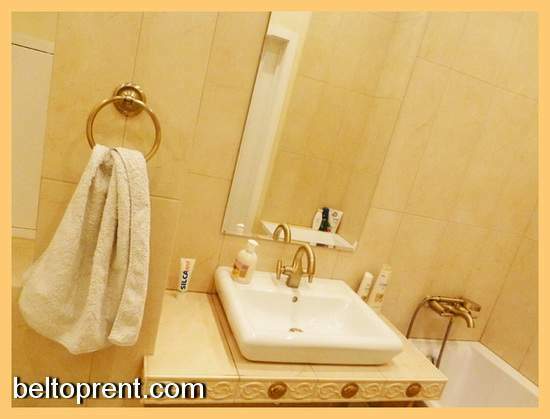 Keep in mind that Apart-Hotel BelTopRent have Very high demand for apartment «LAURA». There are two rooms in this apartment. One is living room with big soafa, second room is bedroom with queen-size bed in it. There is no warshing machine yet, but the kitchen is equiped with bunch of useful stuff. 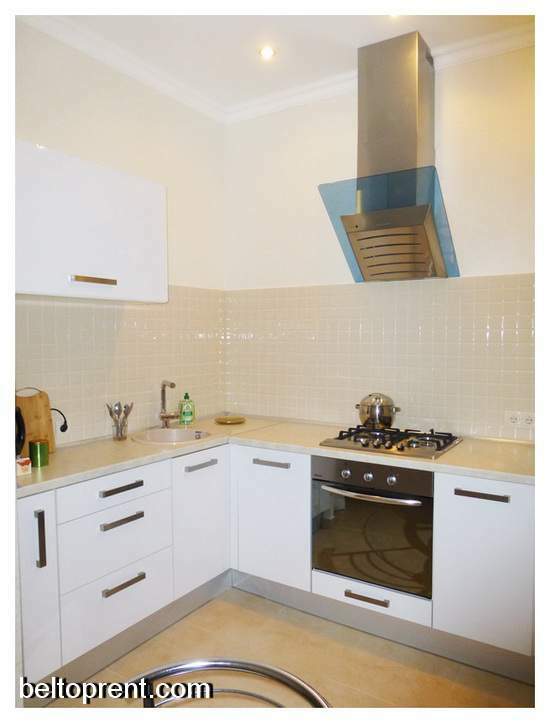 You will love to cook in «LAURA»‘s kitchen. In order to book this apartment, you have to pay upfront one night cost of rent plus $15 for every next next night of your stay. You will be provided with safe and secured option to pay online with all major credit cards. Feel free to contact us in order to find out whether or not apartment «LAURA» available for your dates.